Join us for our first "Discerning the Times" conference! 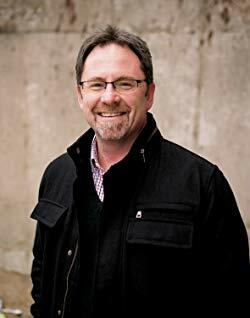 Jeff Kinley will be answering questions like "How can today's Christians understand the times? ", "What are the Biblical signs that we are living in the last days?" and "How can we live with confidence and HOPE in these difficult times?" You won't want to miss this incredible event! Light breakfast and snacks will be served throughout the morning. Best-selling author Jeff Kinley is passionate about communicating God’s vintage truth to this generation. Following a tumultuous teenage experience, Jeff was led into a relationship with Jesus Christ, and everything changed. Once told by his high school English teacher, “Jeff Kinley, you will never amount to anything in life!,” Jeff went on to have a successful pastoral ministry and to write over 30 books, becoming a nationally-known speaker. Jeff served for over two decades as Student Pastor and Senior Pastor at churches ranging from medium-size to mega-church size. In 2000, he founded Main Thing Ministries, a non-profit organization whose mission is to equip and inspire Christians to become life-long followers of Jesus Christ.